The R. Madhavan Nayar Center for Comprehensive Epilepsy Care (RMNC) is the largest center in India and South Asia catering to the diagnosis, treatment, awareness and overall welfare of people with epilepsy. In 1998, the comprehensive epilepsy care program of the department of Neurology of this Institute received a facelift when R. Madhavan Nayar made a generous contribution to augment its facilities and services. Since then, the program had been renamed as R. Madhavan Nayar Centre for Comprehensive Epilepsy Care. This center aims at facilitating and augmenting epilepsy care through a comprehensive care approach backed by sound academic and technological foundations. 1. Medical, surgical, psychosocial and occupational management of persons with epilepsy. 2. To widely disseminate the knowledge regarding epilepsy and its management among all strata of health care providers and public in order to improve the standards of epilepsy care and dispel the myths, fears and stigma of epilepsy. 3. Undertake clinical, applied, basic science and translatinal research and evolve cost-effective investigative and treatment strategies. 1. Patient care at tertiary level: The outpatient program of this center includes evaluation on newly referred patients on a daily basis, review and follow up of more than 120 patients through the two epilepsy clinics, outpatient sessions for evaluation of speech disorders, neuropsychological concerns, occupational needs and behavioural problems and counselling sessions. The experienced epileptologists with special training attend to each patient and offer appropriate recommendations for investigations, management and counsel patients regarding their disorder. The psychosocial issues related to epilepsy are dealt with by expert psychologist/medical social workers and occupational therapist. The inpatient services is based on the epilepsy monitoring unit with six video-EEG suits running round the clock for the diagnosis of various epilepsy syndromes. We routinely perform 2-3 epilepsy surgeries every week for difficult-to-treat epilepsies which are refractory to drugs. We perform approximately 1000 VEEGs and 100 epilepsy surgeries every year. We have performed more than 1300 surgeries so far through our program. Majority of our patients are seizure-free and medication-free after surgery. 2. Patient care at community level: We conduct an outreach community-based epilepsy clinics per month in a rural set-up in central-north Kerala. On an average 50 patients are seen in each clinic. In addition to basic care, patients who require advanced care are referred to RMNC. Through these community-based epilepsy care programs, we educate the primary and secondary care physicians, and educate the public about epilepsy. 3. Research: Active research in the field of epilepsy is an important mission of RMNC. Ongoing research projects include various newer research modalities in presurgical evaluation of refractory epilepsy including multimodality imaging in temporal lobe and extra temporal epilepsy, positron emission tomography-magnetic resonance imaging (PET-MRI) co-registration, electroencephalography-functional MRI co-registration (EEG-fMRI), role of diffusion tensor imaging (DTI) in tracking of eloquent areas, pharmacogenomic research of drug resistance and indigenous development of intracranial electrodes. 4. 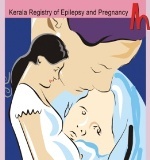 Kerala Registry of Epilepsy and Pregnancy < The Kerala Registry of Epilepsy and Pregnancy was established in 1998 in order to focus attention on the reproductive problems of women with epilepsy. This is the third of five registries of epilepsy and pregnancy in the world and the only one of its kind in Asia and Africa. The registry has offered commendable services to more than 2500 women and their children. 5. Human resource development: Two to four post-doctoral fellows (PDF) and four technology students are recruited every year to undergo training in clinical, electrophysiological and technological aspects of epilepsy management. The scholars who have undergone training through RMNC have established epilepsy care programs in different parts of India, and in SAARC countries like Sri Lanka and Bangladesh. Psychological, psychiatric and behavioral disturbances are known to be associated with epilepsy, especially in patients with epilepsy that is resistant to treatment. The United States Commission on Epilepsy stated in 1977 that "possibly the least understood and the most neglected aspect of epilepsy is the social, psychological and behavioral problems that are so common". Social stigma, feeling of inferiority and insecurity, poor self-esteem and lack of confidence can aggravate disturbances that a person with epilepsy has. At RMNC, we focus a lot on the psychosocial aspects and quality of life of people with epilepsy. We wish to address some of the issues (in a realistic manner) that dent the self-confidence of a person with epilepsy. What does the word "psychosocial" mean? Do people with epilepsy have psychological issues? Dr. Alexander Jacob IPS, Director General of Police, Kerala Government, giving away prize to the best painting in a painting competition held on 20th November 2013, in connection with the national epilepsy day celebration. How do I tell other people about my epilepsy? Have a positive attitude about yourself. Epilepsy is only one of the several illnesses commonly seen in the community in any part of the world. There is nothing to be ashamed of in other people knowing that one has epilepsy. Whenever possible, choose a comfortable place and enough time to keep you from feeling anxious or rushed when you talk about your seizures. It may be helpful if you have written material available with you about epilepsy to share with other people and dispel their misconceptions. I'm planning to get married. Should I conceal the fact that I have epilepsy from my fiancée and his/her family members? It may be especially important to tell your fiancée about your seizure disorder so that there won't be any unexpected surprises or disappointments in future life. Keep a positive attitude about yourself and epilepsy, and he/she probably will, too. Though we have seen that disclosure is not entirely without its problems (because it often results in breakup of marriage negotiations), it is also evident that concealing epilepsy would, in all probability, have long-tern disastrous consequences on married life. Therefore, honest prospective communication about epilepsy is important for nurturing a fruitful married life. If you desire, we can provide realistic information to the prospective spouse and his/her family about the medical and social aspects of epilepsy. Being employed is important for a woman with epilepsy as it makes her less dependent on the spouse and family on money matters, and more confident in making independent decisions. The more the woman and her parents view her disease as a stigma, the more they anticipate negative consequences of disclosure, and concealment becomes their coping strategy. One's belief in one's capabilities is highly essential. Can my mood, behavior and personality be affected by epilepsy or my medications? Mood and personality are affected by many factors. Certain kinds of seizure disorders appear to affect mood and behavior during a seizure, and even an aura (premonition of seizure) may change your behavior patterns. But seizures (and auras) are intermittent events and it is not clear how epilepsy affects general personality traits. We now recognize that people with epilepsy have a variety of personality traits, positive and negative, just as people without epilepsy do. The intermittent and often unpredictable occurrence of seizures can make you feel anxious or embarrassed, and cause some people with epilepsy to be reluctant to socialize normally. They may withdraw and feel angry or depressed. You may have extra stresses connected with work, and financial hardships secondary to career choices or the costs associated with your seizure disorder. Any of these factors can make people moody. Some of these feelings may be a normal reaction to the initial diagnosis of epilepsy or to the everyday events in your life. If they persist and significantly interfere with your life, talk with your physician. They may refer you to a professional counselor (social worker, psychologist or psychiatrist) to help you address these issues. Some women with epilepsy experience changes in their seizure patterns at times of hormonal fluctuations, especially as it relates to their menstrual cycle. Many women also notice mood swings at specific times in their menstrual cycle. It may be helpful to keep a calendar of your menstrual cycle and any mood changes along with your seizure record to share with your doctor or nurse. In addition, medications for epilepsy may have side effects that result in mood changes. A few of these medications can make some people feel depressed or irritable. If the dose of medication is not well tolerated, resulting in overmedication, a person's ability to think clearly may be affected. If you think your medication is having unpleasant side effects, it is important to share this information with your doctor. I feel like epilepsy keeps me from leading a normal life! It's understandable that you feel that way. Epilepsy does interfere with certain aspects of life, especially when you are dealing with poor seizure control. Taking medication daily, having regular tests, or keeping seizure records is time consuming and a frequent reminder of a chronic disorder. For some people, there are more difficult restrictions, such as inability to drive or make certain career choices. Seizures are unpredictable and may limit some of your independent activities. Other family members and friends may be concerned and overprotective and, as a result, you may feel dependent. Realistically, some people with epilepsy may have to depend on others to help with certain tasks of daily living. Try to be cheerful and positive in your attitude with your own effort; it helps to focus on your abilities, rather than defining yourself by your restrictions. Think of creative ways to solve the problems in your life, such as sharing your problems with friends, learning about public transport options if you can't drive etc. At the same time you need to be realistic about the problems. Talk with your family and friends about these issues and your feelings. Insist that you need to be involved in the plans and decisions that affect your life. And don't hesitate to ask for help if you need it, including professional counseling. Always remember that any person in society can have similar problems as you are facing. Can I have a normal sexual relationship even though I have seizures? Can I get married and have children? Yes, you can. Sexual relationships are a normal part of healthy living, and people with seizures can marry and can lead a normal marital life just like anyone else. Women with epilepsy get pregnant and most of them have normal, healthy babies. If you experience some specific problems associated with seizure disorders that interferes with your sexual expression and if there are some concerns related to seizure control, certain medications and other significant issues that are important to discuss with your doctor before you become pregnant. I am a person with drug-resistant seizures. I am used to a monthly number of brief seizures which are very less as compared to my pre-treatment status. My doctor feels I need not worry about these brief seizures. Is it so? It is normal for any person to be concerned about having epilepsy. Be clear about what issues you would like to discuss. Keep written records of your seizures, response to medication, concerns about side effects, and any other questions you have. Take this information with you during appointments to share with your doctor. Take a friend or family member with you if they can help you share information about your seizures that might help the doctor. You need to decide for yourself if the seizures are sufficiently disabling to your lifestyle or interfering with your work. You and your doctor are partners in your care. Your physician has the medical knowledge, but you are the expert on yourself. If you are not satisfied with your doctor's response to your concerns, discuss this with your doctor, and if the relationship does not change, consider choosing another physician. I recently got married and I am pregnant. Because I am on anti-epileptic drugs, is there a risk of my child developing any problems? Can I reduce the dose of medicines? Do I need to undergo an abortion? Will my seizures worsen in pregnancy? Whatever be the cause of the malformations, they do not occur often enough to support avoiding or terminating a pregnancy. However, if a 4-8% risk of having a child with a malformation is unacceptable to you, it is important that you make the decision that's best for you. Do remember that there are pre-natal diagnostic tests that can detect these malformations within the first twelve weeks of pregnancy. The decision to do these tests should be made in consultation with your doctor. The physician can also decide what minimum dose of drugs you need to be on. We have a special registry catering to women with epilepsy who are in the reproductive age group called KREP (Kerala Registry for Epilepsy and Pregnancy) headed by Professor Sanjeev Thomas where a group of doctors and other counselors impart the necessary treatment and provide all the information about these issues to women with epilepsy and their families. Is there a role for counseling in dealing with the issues I have? At SCTIMST, we do conduct group/individual counseling sessions where the participants share their experiences and a professional team comprising a psychologist and a medical social worker reinforce positive approaches, attitudes and achievements of the participants. In addition, information about psychosocial, educational and employment aspects of epilepsy are provided by the professionals. What is meant by QUALITY OF LIFE (QOL)? Ensure that you take your medicines in the right doses and schedule without skipping them. A healthy lifestyle including an appropriate diet and exercise schedule is something advised to normal individuals. This applies to patients with epilepsy also. Realize one's limitations but do not get tied down by it. Pursue meaningful employment and try and become self-reliant in the process. Children with epilepsy and mental retardation need to be offered vocational training. Behavioral problems and psychosocial issues need to be discussed with the physician and appropriately managed. The center is equipped with state-of-the-art video EEG monitors used for both pre-surgical evaluation and syndromic classification of the epilepsy sub types. In addition, bed-side EEG monitors for management of status epilepticus are in place. Round the clock neurotechnologists, nursing and medical support is provided to the patients admitted for long-term and short-term video EEG monitoring. Patients are also offered 1.5T MRI as part of their evaluation. Advanced neuroimaging modalities are conducted in selected patients. Weekly patient management conferences are conducted by the team aimed at problem solving and surgical selection of patients with refractory epilepsy who have undergone pre-surgical evaluation. We also have the following facilities which aid in the diagnosis and management of patients with epilepsy like invasive monitoring with intracranial EEG, functional MRI (fMRI),EEG-fMRI co-registration,diffusion-tensor Imaging(DTI), volumetric MRI, T2 relaxometry etc. Use of high resolution 3-D fluid attenuated inversion recovery sequences (FLAIR) and curvilinear reformatting of 3-D spoiled gradient (SPGR) sequences to detect subtle malformations of cortical development. Utilizing DTI with post-ictal diffusivity indices and fractional anisotropy values and DTI tractography to reduce perioperative neurological deficits. Development of arterial spin-labeling technique (ASL) and to standardize its use in patients with epilepsy to detect the flow changes post ictally and thus determine the possible ictal onset zone. EEG-fMRI studies for identifying the epileptogenic zone in cryptogenic MRI negative focal epilepsies. 3T MRI for better delineation of epileptogenic lesions which are likely to be missed or are less well demarcated in 1.5 T MRI. Allelic, genotypic and haplotypic association in a cohort of pharmacoresistant and pharmacoresponsive patients and normal healthy controls using ABCC1, ABCG2 and MVP, certain defined targets of antiepileptic drugs (ion channel genes, neurotransmitter receptor genes, neurotransmitter transporter genes), and in drug metabolizing enzyme genes (phase I DME: CYP2C9, CYP2C19, CYP3A4 and CYP3A5, phase II DME: UGT1A1, UGT2B7). Single nucleotide polymorphisms associated with the drug response will be further replicated in replication cohorts and the variants associated will be further validated by gene expression assays. Explore novel strategies to overcome pharmacoresistance in persons with epilepsy. Panda S, Radhakrishnan VV, Radhakrishnan K, Rao RM, Sarma SP. Electroclinical characteristics and postoperative outcome of medically refractory tumoral lobe epilepsy. Neurology India 2005; 53: 66-71. Radhakrishnan K, St Louis EK, Johnson JA, McCelland RL, Westmoreland BF, Klass DW Pattern-sensitive epilepsy: electroclinical characteristics, natural history, and delineation of epileptic syndrome. Epilepsia 2005; 46:48-58. Nayak D, Abraham M, Kesavadas C, Radhakrishnan K. Lingual epilepsia partialis continua in Rasmussen's encephalitis.Epileptic Disord.2006; 8:114-7. Rajesh B, Jayachandran D, Mohandas G, Radhakrishnan K. A pilot study of a yoga meditation protocol for patients with medically refractory epilepsy. J Altern Complement Med 2006 12:367-71. Ashalatha Radhakrishnan, Abraham M, Radhakrishnan VV, Sarma SP, Radhakrishnan K. Medically refractory epilepsy associated with temporal lobe ganglioglioma: characteristics and postoperative outcome. Clin Neurol Neurosurg. 2006; 108:648-54. Raghavendra S, Krishnamoorthy T, Ashalatha Radhakrishnan, Nayak SD, Radhakrishnan K. Hemimegalencephalic appearance of normal hemisphere in unilateral heterotopia and absent corpus callosum. Epilepsy Behav. 2006; 9:363-6. Pandian JD, Santosh D, Kumar TS, Sarma PS, Radhakrishnan K.High school students' knowledge, attitude, and practice with respect to epilepsy in Kerala, southern India. Epilepsy Behav. 2006; 9:492-7. Raghavendra S, Ashalatha Radhakrishnan, Krishnamoorthy T, Kesavadas C, ThomasSV, Radhakrishnan K. Reversible periictal MRI abnormalities: clinical correlates and long-term outcome in 12 patients. Epilepsy Res. 2007; 73:129-36. Varma NP, Sylaja PN, George L, Sankara Sarma P, Radhakrishnan K. Employment concerns of people with epilepsy in Kerala, south India.Epilepsy Behav. 2007; 10:250-4. Ashalatha Radhakrishnan , Radhakrishnan K, Radhakrishnan VV, Mary PR, Kesavadas C, Alexander A, Sarma PS.Corpora amylacea in mesial temporal lobe epilepsy: clinico-pathological correlations. Epilepsy Res. 2007; 74:81-90. Radhakrishnan K, Sunku AJ, Donat JF, Klass DW. Pattern-induced negative occipital potentials (PINOP).J Clin Neurophysiol. 2007 ;24:277-80. Kesavadas C, Thomas B, Sujesh S, Ashalatha Radhakrishnan, Abraham M, Gupta AK, Radhakrishnan K. Real-time functional MR imaging (fMRI) for presurgical evaluation of paediatric epilepsy.Pediatr Radiol. 2007 ;37:964-74. Hlobil U, Rathore C, Alexander A, Sarma S, Radhakrishnan K.Impaired facial emotion recognition in patients with mesial temporal lobe epilepsy associated with hippocampal sclerosis (MTLE-HS): Side and age at onset matters. Epilepsy Res. 2008 ;80:150-7. Rathore C, Ashalatha Radhakrishnan , Nayak SD, Radhakrishnan K. Teaching Video NeuroImage: Electroclinical characteristics of micturition-induced reflex epilepsy.Neurology. 2008; 13:e86. Indiradevi KP, Elias E, Sathidevi PS, Dinesh Nayak S, Radhakrishnan K.A multi-level wavelet approach for automatic detection of epileptic spikes in the electroencephalogram. Comput Biol Med. 2008 ;38:805-16. Chemmanam T,Ashalatha Radhakrishnan , Sarma SP, Radhakrishnan K.A prospective study on the cost-effective utilization of long-term inpatient video-EEG monitoring in a developing country. J Clin Neurophysiol. 2009 ;26:123-8. Radhakrishnan K. Epilepsy surgery in India. Neurol India. 2009;57:4-6. Saini J, Kesavadas C, Thomas B, Kapilamoorthy TR, Gupta AK, Ashalatha Radhakrishnan, Radhakrishnan K. Susceptibility weighted imaging in the diagnostic evaluation of patients with intractable epilepsy.Epilepsia. 2009; 50:1462-73. Radhakrishnan K. Challenges in the management of epilepsy in resource-poor countries. Nat Rev Neurol. 2009;5: 323-30. Ramesha KN, Rajesh B, Ashalatha Radhakrishnan, Kesavadas C, Abraham M, Radhakrishnan VV, Sarma PS, Radhakrishnan K. Rasmussen's encephalitis: experience from a developing country based on a group of medically and surgically treated patients. Seizure. 2009;18: 567-72. Kannoth S, Unnikrishnan JP, Santhosh Kumar T, Sankara Sarma P, Radhakrishnan K. Risk factors for epilepsy: a population-based case-control study in Kerala, southern India. Epilepsy Behav. 2009; 16: 58-63. Rathore C, George A, Kesavadas C, Sarma PS, Radhakrishnan K.Extent of initial injury determines language lateralization in mesial temporal lobe epilepsy with hippocampal sclerosis (MTLE-HS). Epilepsia. 2009;50: 2249-55. George L, Iyer RS, James R, Sankara Sarma P, Radhakrishnan K. Employment outcome and satisfaction after anterior temporal lobectomy for refractory epilepsy: A developing country's perspective. Epilepsy Behav. 2009; 27: 255-62. Rathore C, Radhakrishnan K. Prognostic significance of interictal epileptiform abnormalities in the EEG after epilepsy surgery. J Clin Neurophysiol 2010; 27: 255-62. Ratnapriya R, Vijai J, Kadandale JS, Iyer RS, Radhakrishnan K, Anand A. A locus for juvenile myoclonic epilepsy maps to 2q33-q36. Hum Genet 2010;128: 123-30. Chaudhry N, Ashalatha Radhakrishnan , Abraham M, Kesavadas C, Radhakrishnan VV, Sankara Sarma P, Radhakrishnan K. Selection of ideal candidates for extratemporal resective epilepsy surgery in a country with limited resources. Epileptic Disord 2010;12: 38-47. Atma Ram Bansal, Kurupath Radhakrishnan. Primary Reading Epilepsy. C.P. Panayiotopoulos (ed,), Atlas of Epilepsies, Springer-Verlag London Limited 2010; 1109-13. Rathore C, Chandrasekher Kesavadas, Joy Ajith, Achikanath Sasikala, Sankara .P. Sarma, Radhakrishnan K. Cost-effective utilization of single photon emission computed tomography (SPECT) in decision making for epilepsy surgery. Seizure 2011;20: 107-14. Ramesha KN, Mooney T, Sarma PS, Radhakrishnan K. Long-term seizure outcome and its predictors in patients with recurrent seizures during the first year after temporal lobe resective epilepsy surgery. Epilepsia 2011;52:917-24. Das A, Shabeesh B, Banerjee M, Radhakrishnan K. Drug resistance in epilepsy and the ABCB1 gene: The clinical perspective. Indian Journal of Human Genetics 2011; 17(suppl 1): S12- S21. Rathore C, Sankara.P. Sarma, Radhakrishnan K. Prognostic importance of serial postoperative EEGs after anterior temporal lobectomy. Neurology 2011; 76:1925 -31. Iyer RS, Rekha M, Santhosh Kumar T, Sankara P Sarma, Radhakrishnan K. Primary care doctors management behaviour and respect to epilepsy in Kerala, Southern India, Epilepsy and Behavior 2011;21: 137-42. Ashalatha Radhakrishnan, Ramshekar N.Menon, Kurupath Radhakrishnan. Coexistence of idiopathic generalized epilepsy among surgically treated patients with drug-resistant temporal lobe epilepsy. 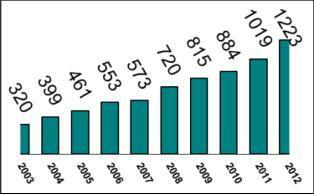 Epilepsy Research 2011:96; 151-57. Ashalatha Radhakrishnan, Jija S James, Chandrasekharan Kesavadas, Bejoy Thomas, Biji Bahuleyan, Mathew Abraham, Kurupath Radhakrishnan. Utility of diffusion tensor imaging tractography in decision making for extratemporal resective epilepsy surgery. Epilepsy Research 2011;97, 52-63. Neeraj N.Baheti,Ashalatha Radhakrishnan, Kurupath Radhakrishnan. A critical appraisal on the utility of long-term video-EEG monitoring in older adults. Epilepsy Research 2011; 97,12-9. Dr. Sanjeev.V.Thomas won the "Best Scientific Paper on Epilepsy" during the 2nd Annual Conference of Indian Epilepsy Association held at New Delhi on 12.12.95. Dr. Dinesh Nayak won the "Best Scientific Paper on Epilepsy" during the 2nd Annual Conference of Indian Epilepsy Association held at New Delhi on 12.12.95. Dr. Dinesh Nayak won the "Best Paper award in epilepsy" during the Annual Conference of Neurology Society of India held at Cochin on 02.03.1997. Dr. Bhaskara Rao won the "Young Investigators award" during the 23rd International epilepsy Congress held at Prague on September, 1999. Dr. Sanjeev. V. Thomas won the "Best Poster award in epilepsy" during the 5th Asian & Oceanian Epilepsy Congress held at Bangkok, Thailand 2004. Dr. C. Rathore won the "Best paper award in medical category" during the 8th Joint Annual Conference of Indian Epilepsy Association and Epilepsy Society held at Mumbai on 04.10.2007. Mr. Sajeesh.P has won the "Best poster in non-medical category" during the 8th Joint Annual Conference of Indian Epilepsy Association and Epilepsy Society held at New Delhi on 04.10.2007. Ms. Annamma George won the "Second best poster in non-medical category" during the 8th Joint Annual Conference of Indian Epilepsy Association and Epilepsy Society held at New Delhi on 04.10.2007. Dr. C. Kesavadas won the "Best Poster in medical category" during the 9th Joint Annual Conference of Indian Epilepsy Association and Epilepsy Society held at New Delhi on 21.10.2008. Dr.Sanjeev. V. Thomas, won the "Dr. Vimala Virmani Award for best paper" given by National Academy of Medical Science on 2008. Dr. Bejoy Thomas won the Certification of merit during the 94th Assembly and Annual Meeting of Radiological society of North America (RSNA) From 30th November - 3rd December, 2008. Dr. Ashalatha Radhakrishnan won the "Young Investigator Award" during the 28th International Epilepsy Congress held at Budepest on 02.07.2009. Mr. Shabeesh Balan, won the "Best poster award" during the Indo-French workshop on Pharmacogenomics held at JIPMER, Pondichery From 30th November - 2nd December, 2009. Dr. Rajesh Shankar Iyer won the "Best paper award on epilepsy" during the 17thth Annual Conference of IAN held at Cochin on 13.09.2009. Dr. Gopal Krishna Dash won the "Best Paper in medical category in epilepsy" during the 12th Joint Annual Conference of Indian Epilepsy Association and Epilepsy Society held at Ludhiana From 26th - 27th, February, 2011. Dr. Ramshekhar Menon won the "Best paper award in epilepsy" during the 19th Annual Conference of Indian Academy of Neurology (IANCON-2011), held at Pune from 22nd to 25th September 2011. Dr. Sujit Abajirao Jagtap, has won the "Best poster presentation" during the Pediatric Epilepsy Symposium held at Hyderabad from 5th to 6th November, 2011. Dr Ashalatha Radhakrishnan won the "National Bioscience Award for Career development 2011, by DBT" for outstanding contribution in the development of state-of-the-art technologies in the management of refractory epilepsy patients. This is the official Website of Sree Chitra Tirunal Institute for Medical Sciences & Technology under Department of Science & Technology, Government of India. Thiruvananthapuram - 695 011, Kerala, India.